Is it possible to find a gold coin with a cheap detector in the middle of the winter beneath the snow? Now you may think that im joking or that this is pretty unrealistic, but i will tell you: No problem! 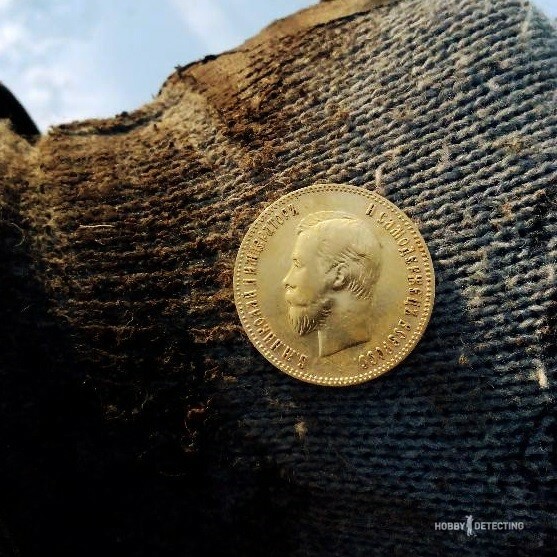 Here is the story of how a young detectorist found a golden coin in the winter with his Fisher F2 and NEL Tornado coil, let’s go! You know that feeling when you are at home, it is winter and the detecting season is long gone, but you suddenly get this urge to go detecting even if it seems very unlikely to find something worht the while? Well one day i had this exact feeling, and instead of sitting there and letting my dreams be dreams, I decided to go on a detecting trip. On the day before, me and my friend who also is a fellow detectorist met at his house and started talking about detecting, about how the last season went and about our finds. 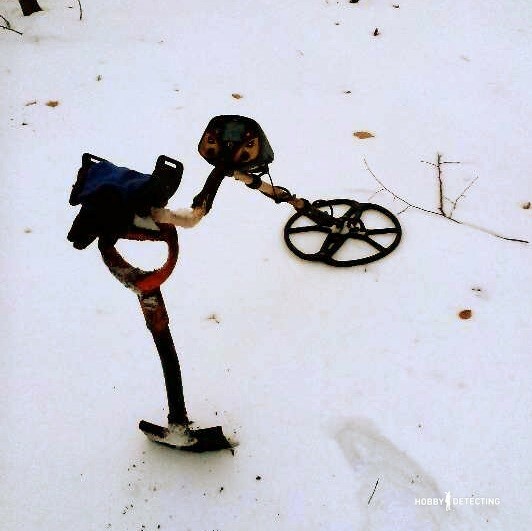 Eventually, we agreed that we would go detecting the next day, because just the thought of going detecting again made us willing to dig beneath the snow in the frozen ground, just to maybe find another coin or an artefact to put on shelf. So, the next day we went to a place where we had some pretty good finds before the end of the season, and where there was a big chance of finding something worth the struggle. After arriving of the spot, I unpacked my Fisher F2 with the NEL Tornado coil, and my friend unpacked his Ace 250 with the standard coil. We started on the corner of the field and went each our ways. In the beginning i found nohing special, just a coin from 1920 and an old button (and some of the usual rubbish, of course). 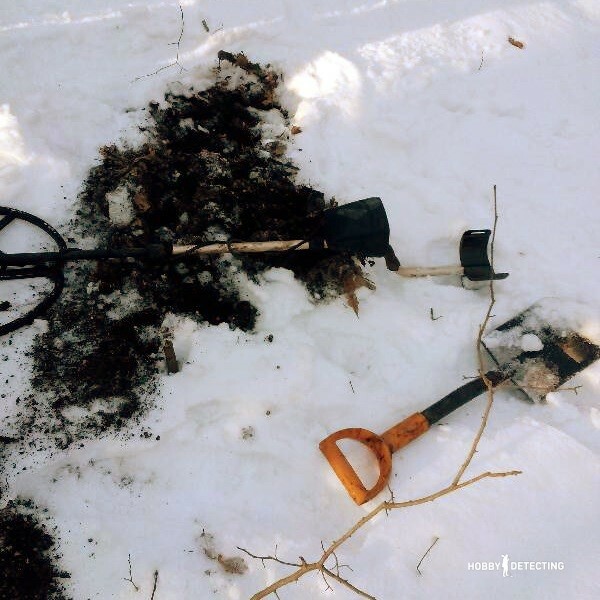 Digging in the frozen ground was hard, so I only dug the most appealing signals. After detecting for about an hour, I started thinking that maybe this trip was not worth all that struggle. Just as these thoughts started hitting my head, i got a signal on my detector. This signal had a VDI of about 50 to 60, and somewhat stable. “Could this be worth the struggle?” i thought, but eventually decided to dig the signal. The signal was at a depth of about 15 cm, plus 8 cm of snow on the top. I dug the plug out of he ground, but the signal was still in the ground. I found it with my pinpointer, dug yet another time and put the dirt out of the hole. At first, i saw a golden shiny edge. “No, it cant be a gold coin, can it?” I thought to myself. I enjoyed the sight for a couple of seconds, and lifted the object out. 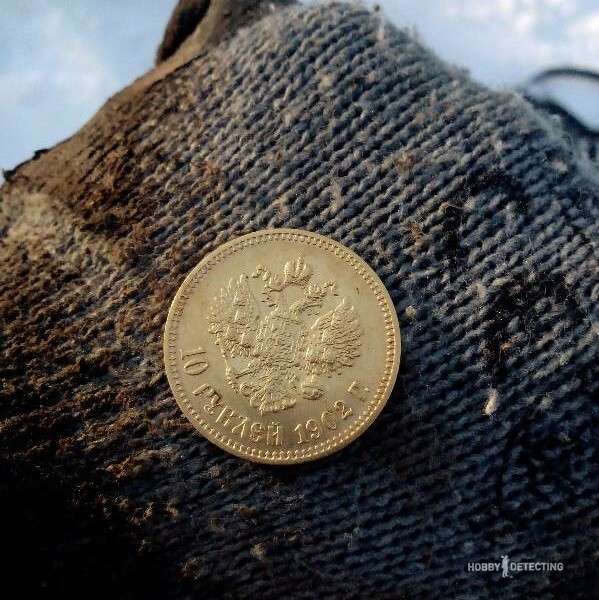 It turned out to be “10 Rubles” golden coin from 1902! You won’t imagine the expression on my face when i saw what i had found. I immidiately called my friend, and he came running with his Ace 250 to look why I was so exited. What would you say now if i asked you the same question as i did in the start, would you change your answer? Let us know in the comments!